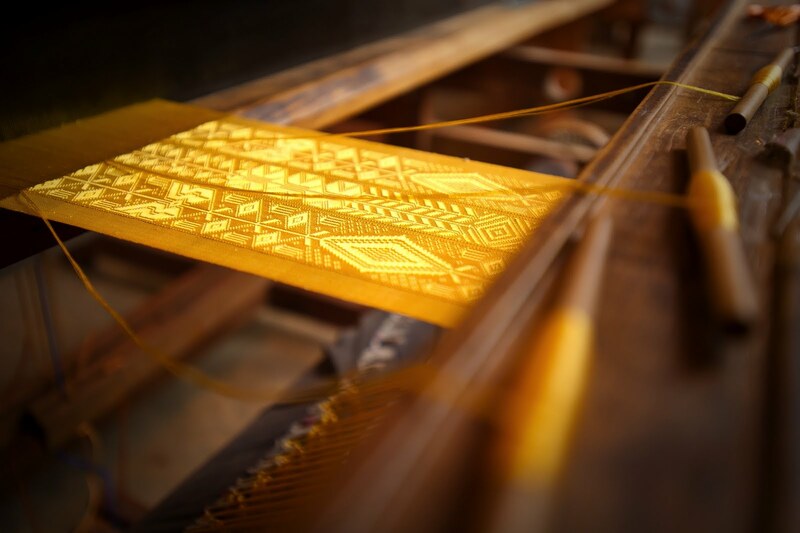 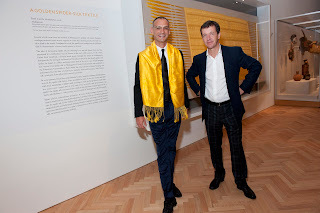 A spectacular golden textile, conceived and created by Simon Peers and Nicholas Godley in Madagascar from silk thread collected from over one million Golden Orb spiders, was the highlight of a special preview last week at the Art Institute of Chicago. This special event and dinner was to celebrate the of the opening of the new African Art and Indian Art of the Americas galleries. 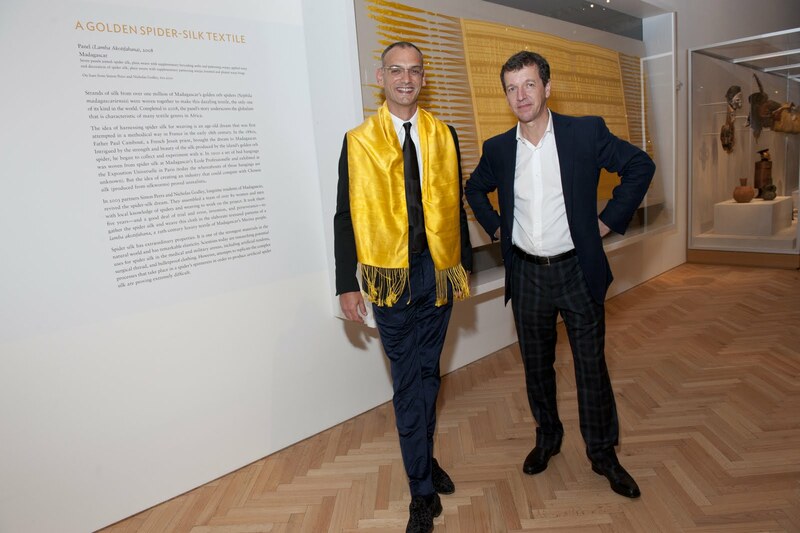 The Spider Silk textile is on special loan to The Art Institute and will be displayed in Gallery 137 from June 3 through October 2011. 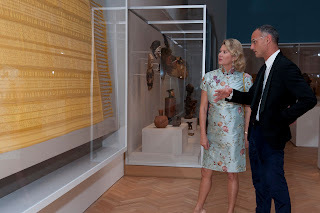 This will be the last opportunity, stateside, to behold this extraordinary textile before it makes it's way to the Victoria and Albert Museum in London beginning January 2012.